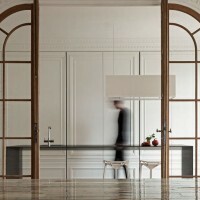 i29 interior architects have designed a kitchen island with an incredibly slim profile, that when viewed from certain angles, almost seems invisible. 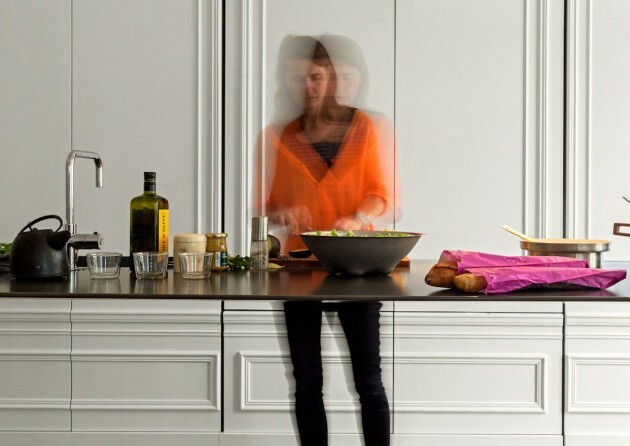 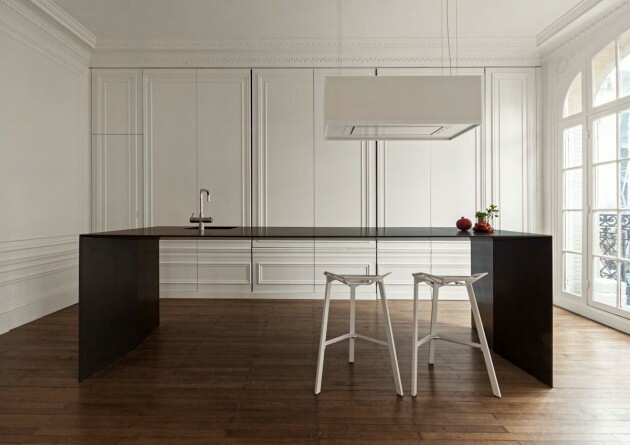 As living spaces and kitchen islands merge together in most contemporary homes nowadays, i29 designed a kitchen that acts more as a piece of furniture instead of as a kitchen. 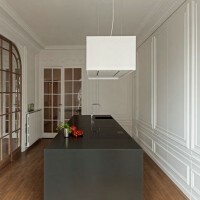 Our aim was to develop a kitchen system that seems to disappear in space. 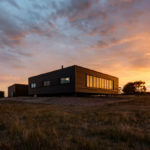 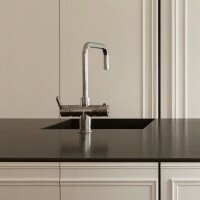 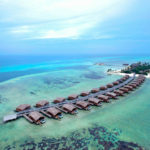 The design is reduced to it’s absolute minimum, having a top surface of only a couple of centimeters thickness with all water, cooking and electrical connections included. 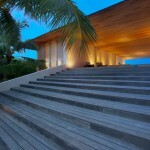 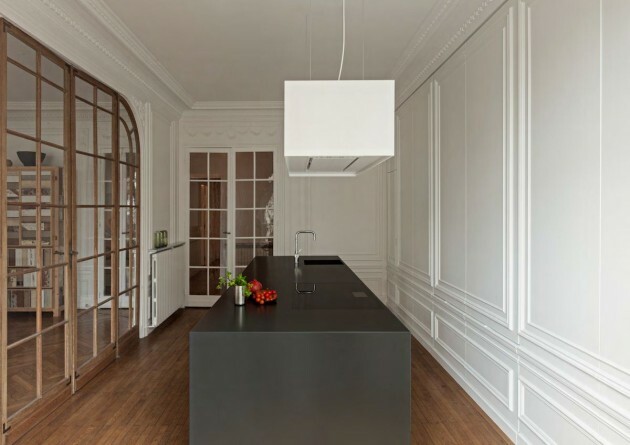 Large sliding wall panels conceal all kitchen appliances and storage space. 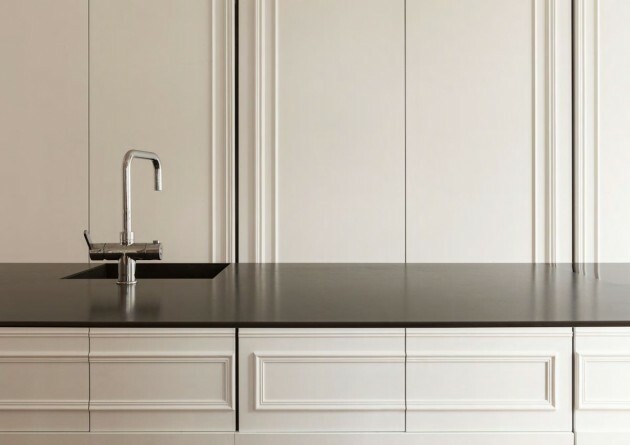 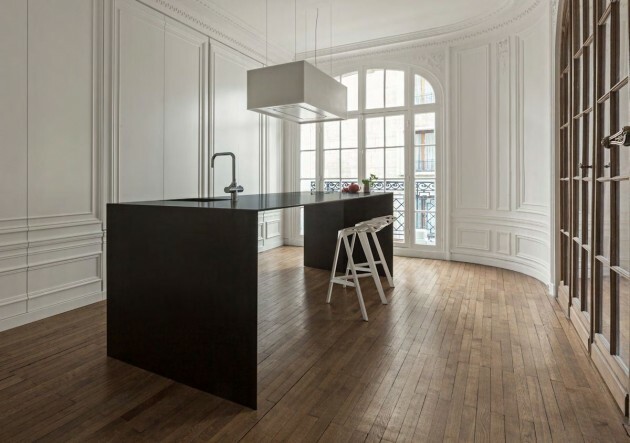 In the case of this apartment in Paris, where the kitchen concept is installed, an existing profiled wall is exactly copied on the front panels in order to integrate the solid volume with the monumental space. 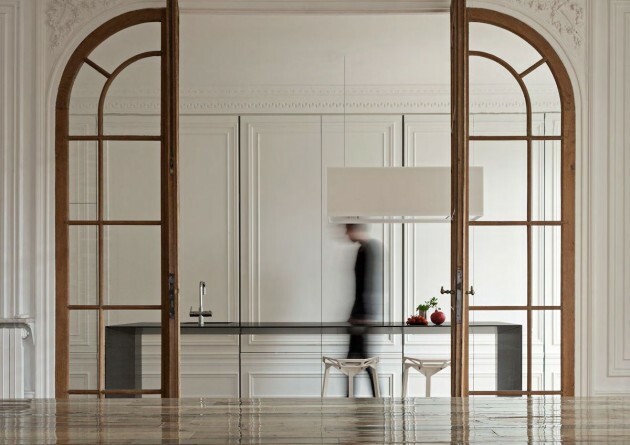 The freestanding kitchen island is placed in front of the panelled sliding doors.